In this webinar, we look at the preliminary findings of the 2017 survey. Thank you to RSA for sponsoring this survey. 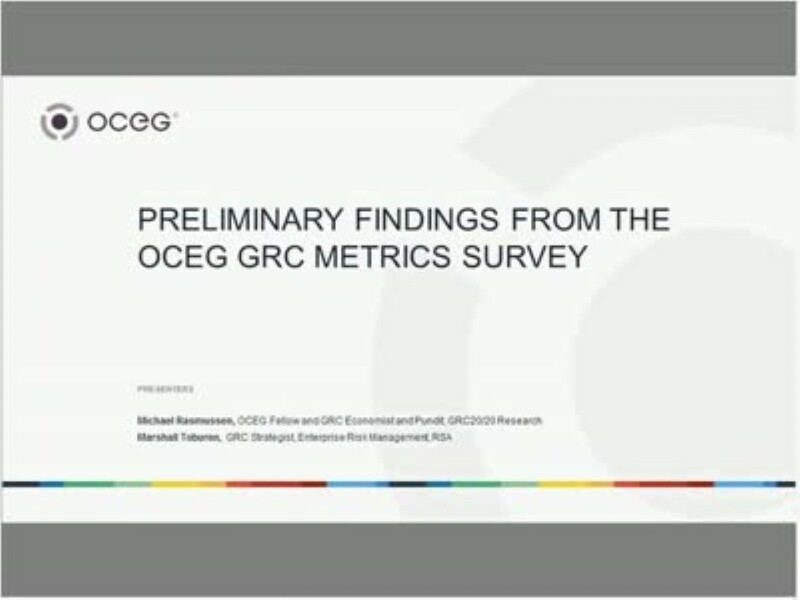 We have emailed instructions to access The 2017 GRC Metrics Survey Report to . Make sure the email arrives in your inbox: either add "support@oceg.org" as a safe sender to your email platform, or if you use Gmail, drag our email into your Primary tab.